Stockpiles of antiviral drugs are now a reality and a WHO guideline has been developed to attempt to stop or delay pandemic influenza at its initial emergence. 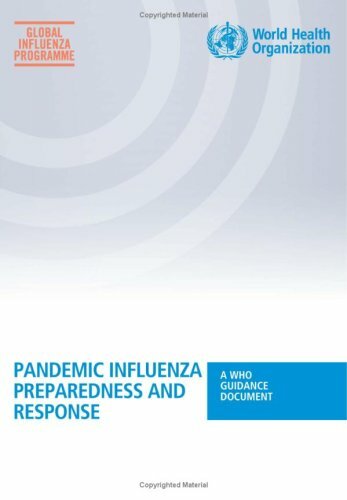 There is increased understanding of past pandemics, strengthened outbreak communications, greater insight on disease spread and approaches to control, and increasingly sophisticated statistical modeling of various aspects of influenza. This book is focused on Streptococcus pyogenes, the bacteria responsible for diseases, such as scarlet fever, pharyngitis, impetigo, necrotizing fasciitis, as well as the sequelae of rheumatic fever and acute poststreptococcal glomerulonephritis. The object of the Handbook is to afford a general survey of the field, and to put the student of medicine and entomology in touch with the discoveries and theories which underlie some of the most important modern work in preventive medicine. The book provides an overview of infectious disease. Written for a general audience, it describes biology, history, and future trends of some of the world's most widespread infections and explains what we need to do to address this global challenge.